Tour duration is 8.5 hours, and it combines both Destrehan and Houmas House Plantation Tour. You will travel in a luxury SUV with up to 5 guests, and stop for lunch at The Cajun Village Restaurant. Tour picks up at 8:45am from your New Orleans area hotel or preferred departure point. You will tour Destrehan Plantation at 9:30 am for 1 hour and 15 minutes. Destrehan plantation was established in 1787 and listed on the National Register of Historic Places. It remains the oldest documented plantation home in the lower Mississippi Valley. At 11:15am, you'll depart Destrehan Plantation and stop for lunch at Cajun Village Restaurant in Darrow, LA. Lunch is not included in the cost of the tour. After lunch, you'll head to Houmas House and arrive at approximately 2:30pm. The Houmas House tour is 1 hour and 15 minutes in length. Houmas House Plantation and Gardens, between Baton Rouge and New Orleans, allows visitors to experience the life of a wealthy Sugar Baron in the 1800s. 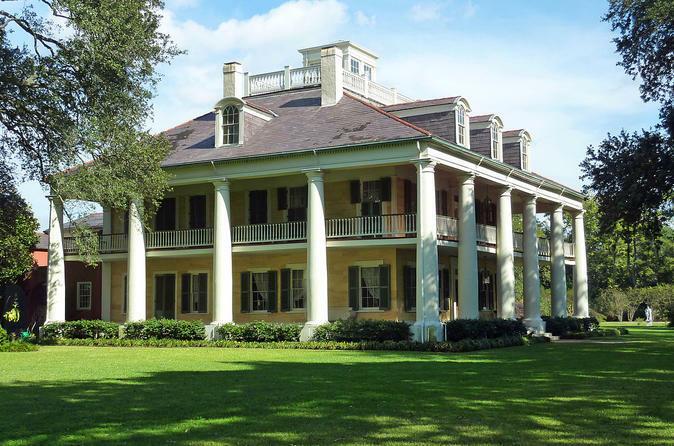 Tour the historic Louisiana Plantation and explore 38 acres of lush gardens, or relax with a refreshing mint julep and enjoy the breeze off the nearby Mississippi River. You will return to your departure point at approximately 5:15pm. All entrance fees are included in this tour.